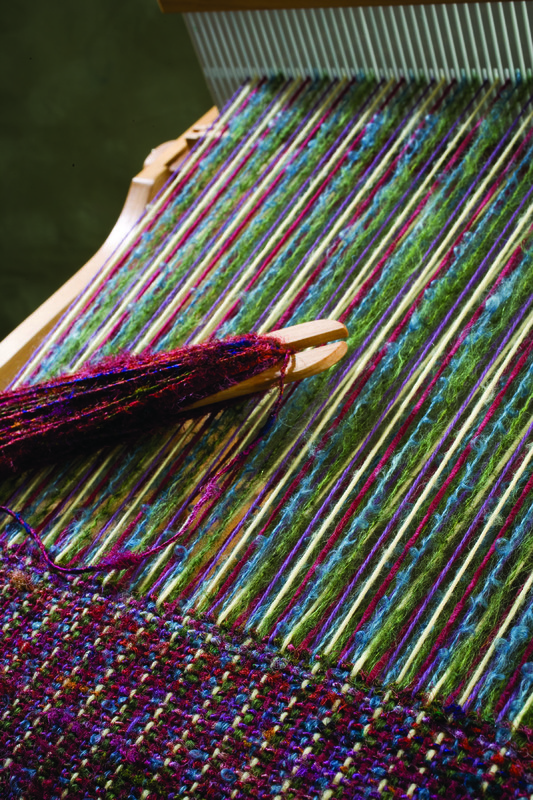 What is a rigid heddle loom and why should I want one? First the why. If you are a spinner you want a rigid heddle loom because it is gentle on your handspun. If you are a weaver you want one because they are super easy to warp. If you are a knitter you want one because they use up those odd bits of yarn in fast and fun ways (same for you crochers and even rug hookers). Plus this loom is easy to grab and go, allowing you to take weaving with you everywhere. The what will take a few more words. 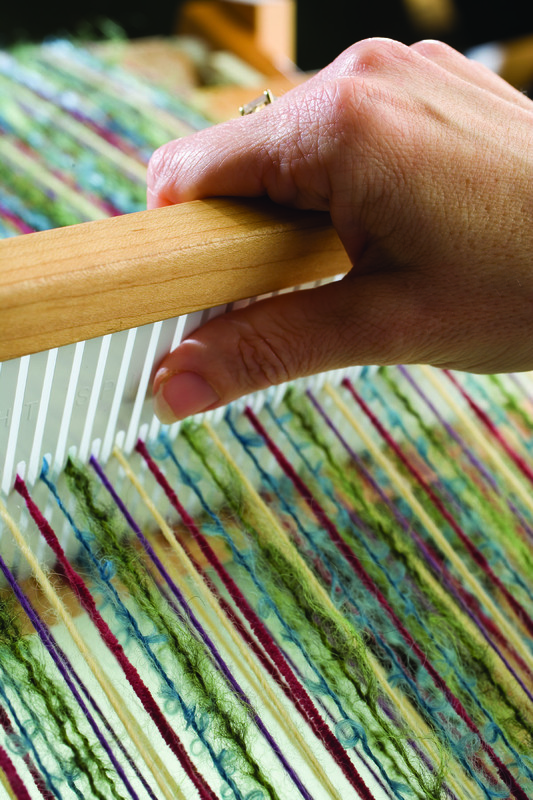 A rigid heddle loom is a frame loom that uses an ingenious “rigid heddle” to do its work. If you didn't have one, you would have to take a needle and move the yarn over and under the warp by hand. (The warp are the yarns held taut on the loom.) Not much fun, huh? Rigid heddle projects work up fast to bust the stash! With a rigid heddle the warp threads are threaded through a slot and then a hole or vice versa depending on where you want to start. This allows you to lift the yarns in the holes past the yarns in the slots to create a shed. (Think of a shed as "sheltering" the weft. This is where you put your shuttle that carries the weft or the yarn that goes from right to left.) Lift, pass the shuttle, repeat! Voila, you have cloth. See, don't you want one! Check out our wide variety of rigid heddles. 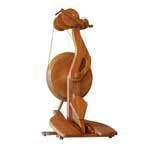 There is a loom to suit every need + stands, bags, books, shuttles, and pick-up sticks. Any questions, feel free to post.